OMAHA, Neb. — In boxing, you can jump from anonymity to the brink of stardom in the blink of an eye. Julius Indongo is a prime example. Indongo didn’t lace up a pair of boxing gloves until he was 17, when he competed in his first amateur boxing bout. 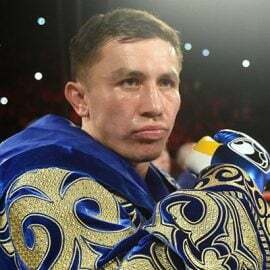 Nine years later, the southpaw turned professional and racked up victory after victory in his native Windhoek, Namibia, a country of about 2.5 million citizens that hugs the Atlantic Ocean coast and borders South Africa. 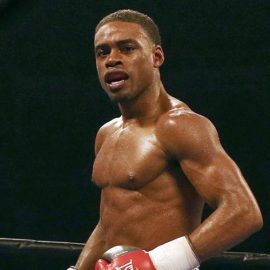 He grew up in the village of Onumutai before moving back to the nation’s capital, where he still resides today as the IBF and WBA junior welterweight titleholder. Indongo grew up listening to fights on the radio and promised himself that when he finished 10th grade, he would begin boxing. And he did, learning his craft locally. Each of his first 20 professional bouts took place in Namibia, with the vast majority in his hometown. He finally ventured out in December, at age 33. 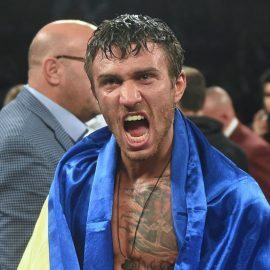 And all he did was wrest the IBF title from Eduard Troyanovsky with a one-punch, first-round knockout — in Moscow, no less. Was the punch a fluke? Perhaps. It’s difficult to know in boxing sometimes, especially when an unheralded fighter turns the trick. But then, about four months later, Indongo grabbed yet another world title by easily outpointing Ricky Burns — this time in Burns’ hometown of Glasgow, Scotland. After two big fights, Indongo (22-0, 11 knockouts) has stardom within reach. Winning his third in row could be more challenging. 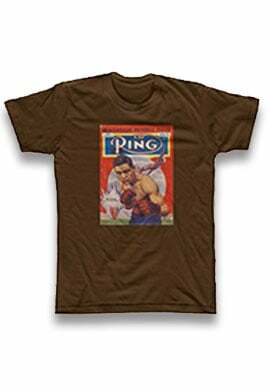 He meets Terence Crawford on Saturday (10 p.m. ET, ESPN) in Lincoln, Nebraska, about 30 minutes from Crawford’s hometown of Omaha. Crawford, No. 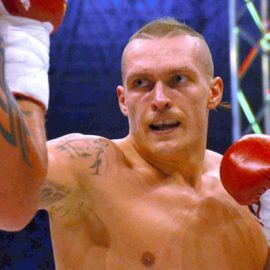 4 pound-for-pound, owns three titles — RING, WBC and WBO — so whoever comes out on top will become boxing’s lone undisputed champion, the first such fighter to wear all five belts since Bernard Hopkins beat Oscar De La Hoya in 2004. 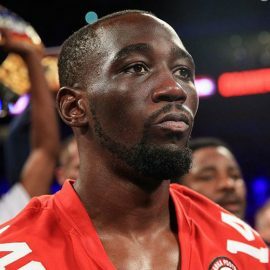 To acclimate to yet another road game, Indongo arrived in Hollywood, California, earlier this month and continued his training at Freddie Roach’s Wild Card Boxing Club with designs on returning home an even bigger hero. Indongo was a top amateur in Namibia. Upon completion of school, in 2002, he won his division of the Namibian National Championships and appeared to be on his way to success. Then disaster struck. An incessant cough initially was determined to be the result of malaria but it persisted. Finally, doctors diagnosed him with tuberculosis, and after a two-year battle, he was cured. Indongo resumed his winning ways in 2006 and eventually qualified to represent Namibia in the 2008 Olympics. Then came a second stroke of bad luck. Before his first-round matchup, Indongo broke his right hand in a warm-up bout. He decided to fight but wasn’t effective. Indongo graduated to the paid ranks one year later and outpointed Pohamba Mandume at the Windhoek Country Club Resort. Indongo-Mandume opened a seven-fight card topped by Paulus Moses’ WBA lightweight title victory over Takehiro Shimada. Eight years later, Moses is in Nebraska to support his countryman in his own title fight. 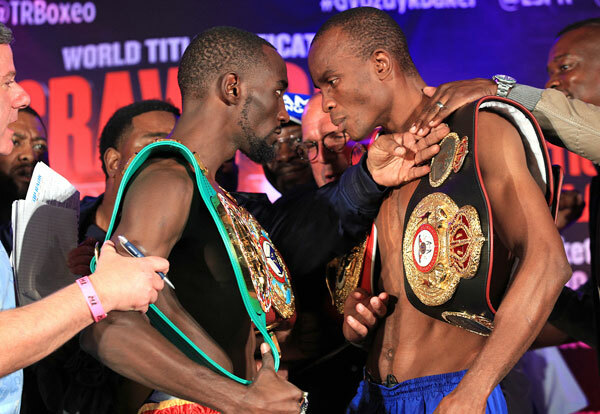 Indongo made weight comfortably Friday at 139 pounds, and then proudly held up his two belts. He was jovial; serene, even. After Crawford stepped on the scale and made weight (140 even), the 5-foot-10 Indongo walked over and touched foreheads with his foe. The tension built as the fighters jawed for more than a minute. It’s clear that Indongo isn’t some relatively anonymous fighter here to give up his two belts. He’s here to win. “Those who study my boxing style are just wasting their time because I have courage that comes from my technique and plan,” he said. “This is for the undisputed championship, which is history, a do-or-die game, but I’m ready 100 percent. What Indongo has accomplished is already amazing. He didn’t throw a punch until 2001, when he competed in his first boxing match. He fought in obscurity in his homeland until last year. Now he’s about to make his U.S. debut and has a guaranteed career-high purse. One more upset on the road, and he won’t just be a champion or a unified champion. He’ll be THE RING and undisputed champion at 140 pounds. And he could be knocking on the door of the pound-for-pound Top 10. It’s so close, Indongo can taste it. He now must upset the odds one more time. Surely, there will be kids listening on the radio back home in Namibia, just has he once camped in front of the radio and listened to fights featuring countryman like Ali Nuumbembe, a welterweight. Perhaps Indongo will inspire yet another young man to take up the sport. 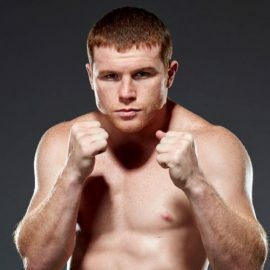 But Saturday, he has only one focus: the undisputed junior welterweight championship.